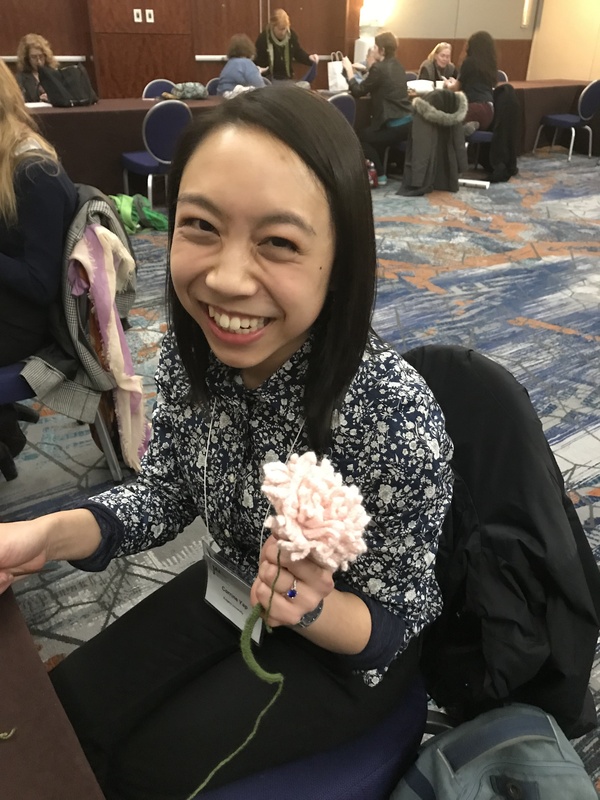 This year the Joint Mathematics Meeting was held in Baltimore Maryland. 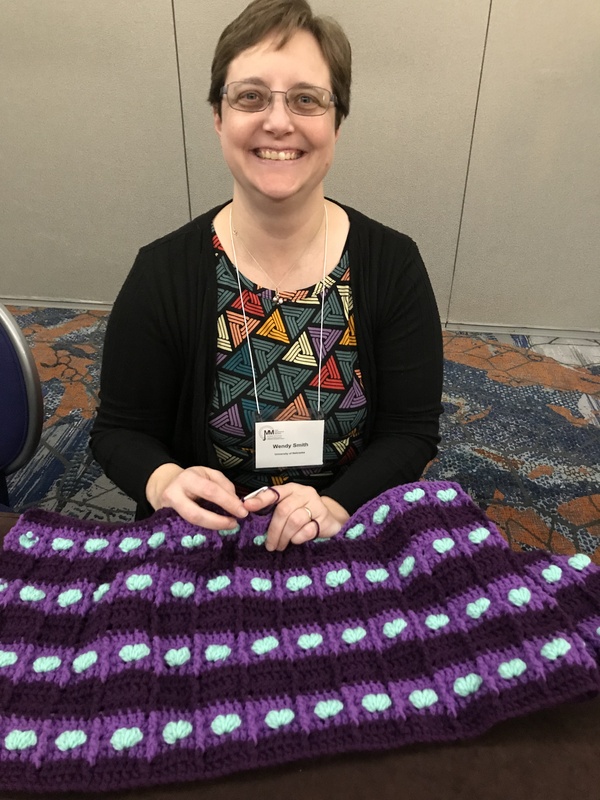 There has been a lot of discussion into the mathematics involved in the patterns of knitting, crocheting and other needle crafts. 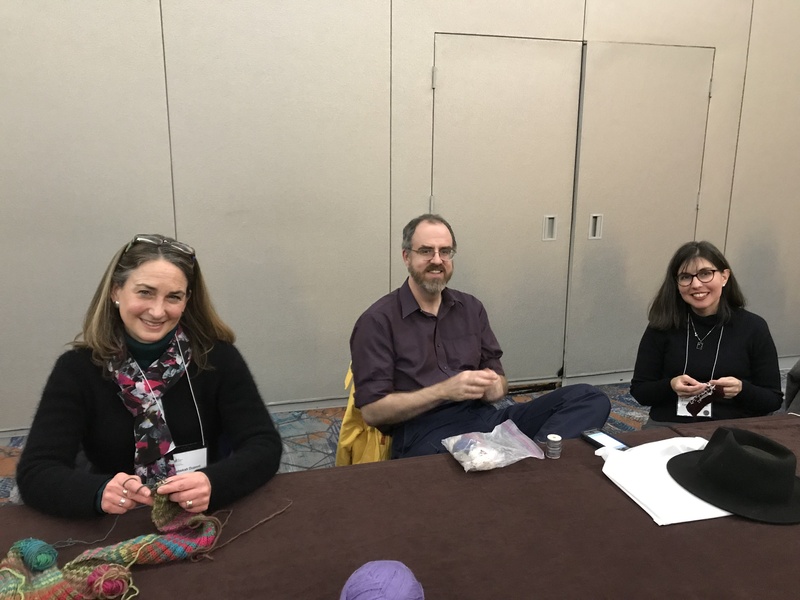 One of the featured events at the conference was a Knitting Circle, where people could work on, and share, their fiber arts projects. Much of the work being produced had a mathematical component. 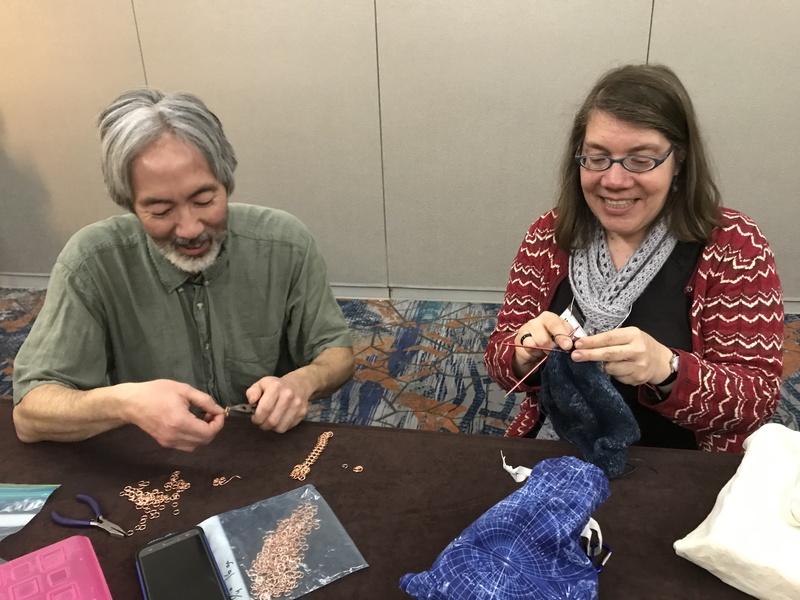 Here are a few photos from the gathering. Much more from JMM next week.